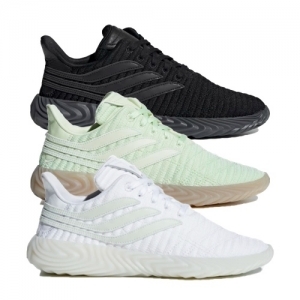 Following up on the success of his previous collaborations with adidas, Alexander Wang delivers another footwear drop in his trademark style. The AW18 instalment is made up of the SKATE SUPER, TURNOUT TRAIL and BBALL models in a stripped back mix of white, black, cream, gum and off-white. The Turnout Trail steps out of left field slightly, adding a menthol Clear Mint upper to shake things up a bit.